For the past couple years, I haven't really planned for Halloween. Due to a mixture of being overwhelmed with college and procrastination, my costumes have been really last minute scrambling. But this year, I wanted to do it right! I'm elaborating on the basic idea of past years, steampunk, but putting in extra effort. 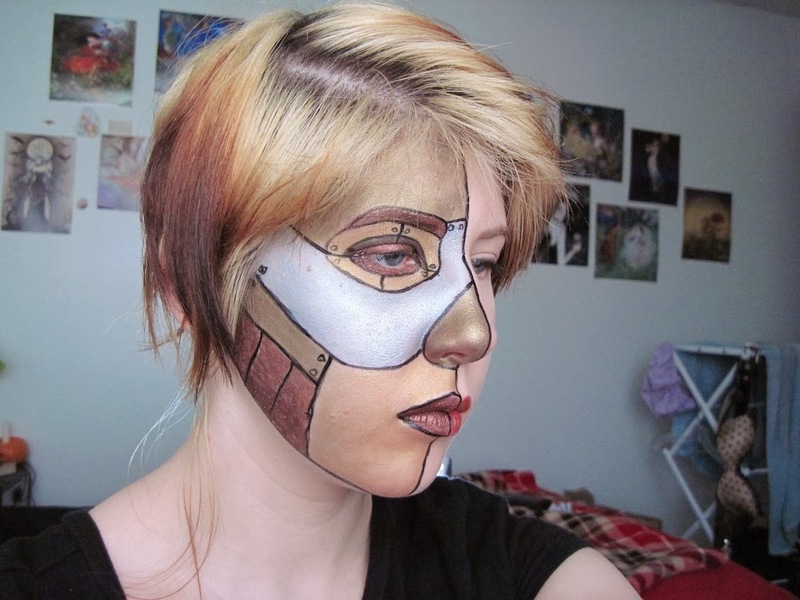 I was inspired by this robot make up tutorial. So here is my effort: Automaton-Human Hybrid Make Up. You can find my full tutorial here. 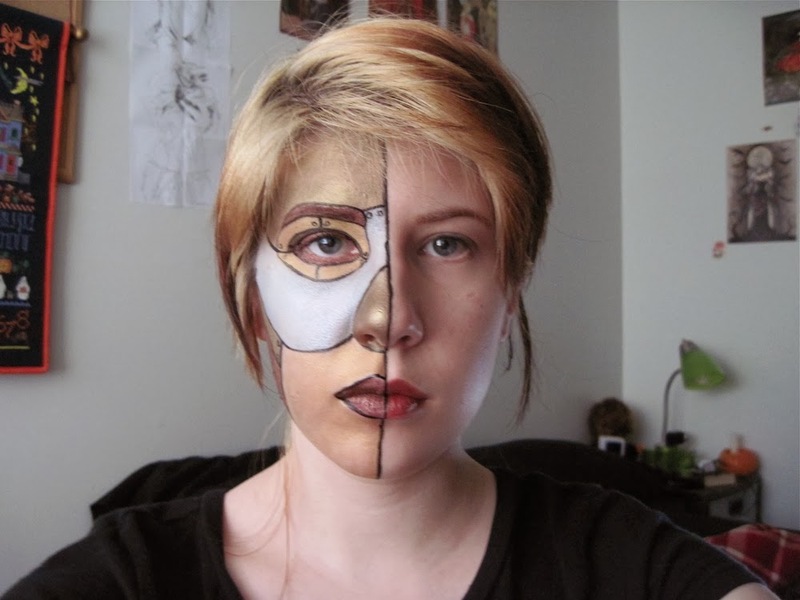 If you want to do a full automaton face, skip the first few steps and replicate the robot make up on both sides. It takes some time to do, but it's pretty easy and fun! This is really cool. I love the color palette you used.